Classic Car enthusiasts will gather together again this year in Geneva, Illinois and viewed a beautiful collection of antique, classic and modern automobiles. 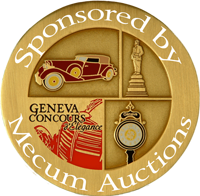 Participants from all over the Country displayed their prized automobiles on Third street, hoping to be awarded one of the coveted "Benz" Trophies. 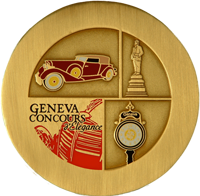 For 2019 we will feature STuTZ, Allard, Fintailed Automobiles, the 100th Anniversary of the Bentley Motor Car Company and celebrate the Sports Car Club of America's Diamond Anniversary. Third Street is the heart of Geneva's charming downtown shopping district lined with shops, restaurants, parks and historical buildings. This event is open to the public at no cost making this a wonderful family event with something for everyone to enjoy and marvel. Celebrate with us on Sunday August 25, 2019 from 10:00am to 4:00pm. The beneficiary of this year's event is the LivingWell Cancer Resource Center.